ENGLISH - SWINDON, THIS IS SWINDON. 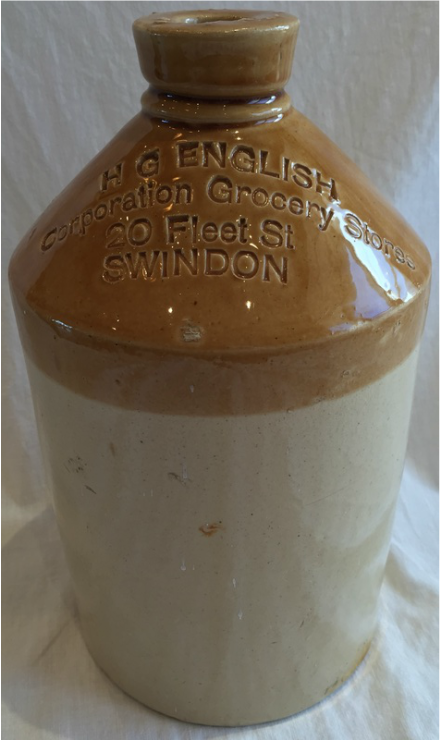 Henry George English was born in January 1869 at Charlton Horethorne, England to parents George and Harriet. He married Laura Timbury in April 1896 in Frome, England. By 1901 they were living at No 10 Groundwell Road in New Swindon. 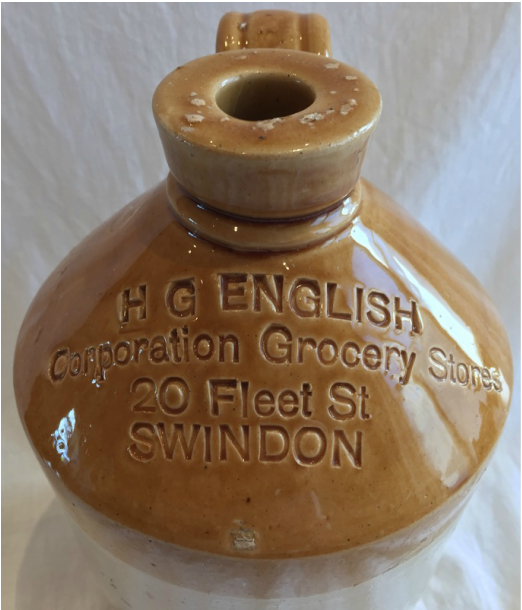 By 1903 Henry had a grocery business operating from No 20 & No 21 Fleet Street, New Swindon. 1911 sees the family living up the hill in Old Swindon at No 127 Bath Road. 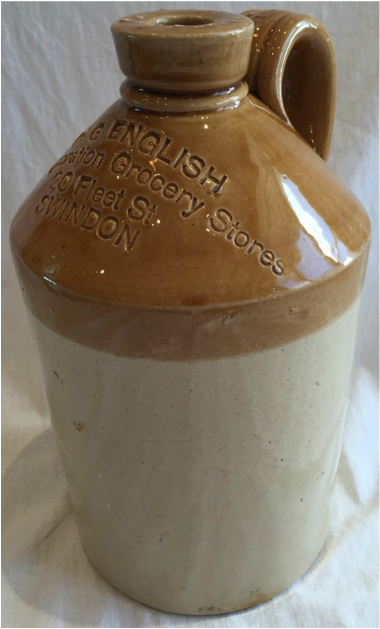 By 1927 and whilst still living at No 127 Bath Road Henry's grocery business is now operating from No 1 Bath Road. The same address that﻿ HARRY'S STORES operated from back in 1903. Henry and Laura had two children during their marriage. Henry died on May 28th 1939 in Purton, England, at the age of 70 and is buried in the graveyard of Christ Church, Swindon. Henry was the victim of fraud in July 1900 when he was given a cheque for £10 14s 2d by the Vicar of Old Swindon, Rev Newton Ebenezer Howe. The vicar had owed the grocer 14s 2d and convinced him to accept the cheque as payment and to give him £10 in change. When the cheque bounced Henry went to the police. Rev Howe was arrested in Llandrindod Well on Wednesday 26th September 1900. After a total of £100 was paid as bail he was released. During the subsequent court case it was revealed that the Rev had been banned for 3 years from the church back in 1890 after being caught having an improper relationship (he was a married man) with a churchwarden's grown-up daughter called Marion Ormond. He had been reported to the police and church by local chemist WILLIAM JOHN SMITH who was also a churchwarden at that time. Rev Howe was convicted of fraud and was sentenced to 12 months hard labour after Henry George English gave evidence against him.